What does a traumatic brain injury have to do with your speech and hearing? That’s what a group of high school students learned during our annual Health Sciences Preview on campus last week. 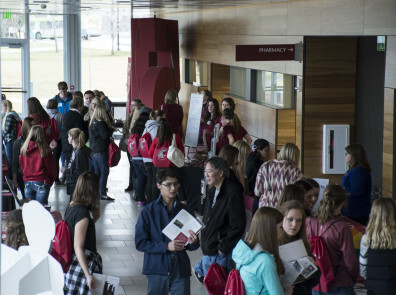 They were among more than 70 high schoolers from the greater Spokane region that came to campus to learn about the health sciences programs at WSU Spokane. Students started the day touring a health sciences fair, with displays from various programs and departments on campus giving high school students the chance to visit one-on-one with current WSU Spokane students. The students were split into groups during the latter half of the event. One group toured the simulation lab in the College of Nursing and saw how future nurses are trained at WSU Spokane. 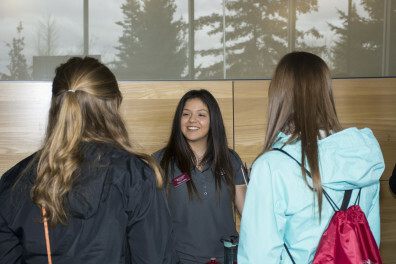 Another group learned how speech and hearing sciences students work in hospitals, school, clinics and more. They also learned how traumatic brain injuries can lead to visits to a speech therapist (as well as how to prevent those injuries). Students in the College of Pharmacy and the nutrition and exercise physiology program also showed the high school students what their chosen field looks like. The Health Sciences Preview allowed the high school students to ask questions as they start to think about life after high school. They learned what kinds of classes they should be taking (and being successful at) in high school, whether they can start out at a community college, what kinds of subjects they’ll need to focus on, and much more. This is the second Health Sciences Preview we’ve hosted this year. 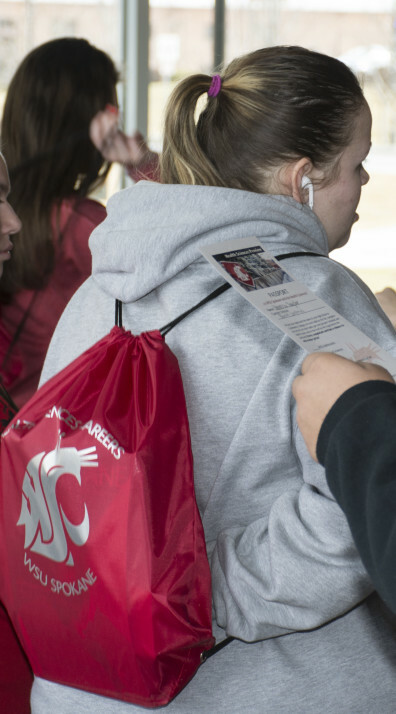 Aspiring health sciences students can visit the WSU Spokane website for more information on the programs offered on campus.